There are full set collector watches…. and then there are FULL SET COLLECTOR WATCHES!! 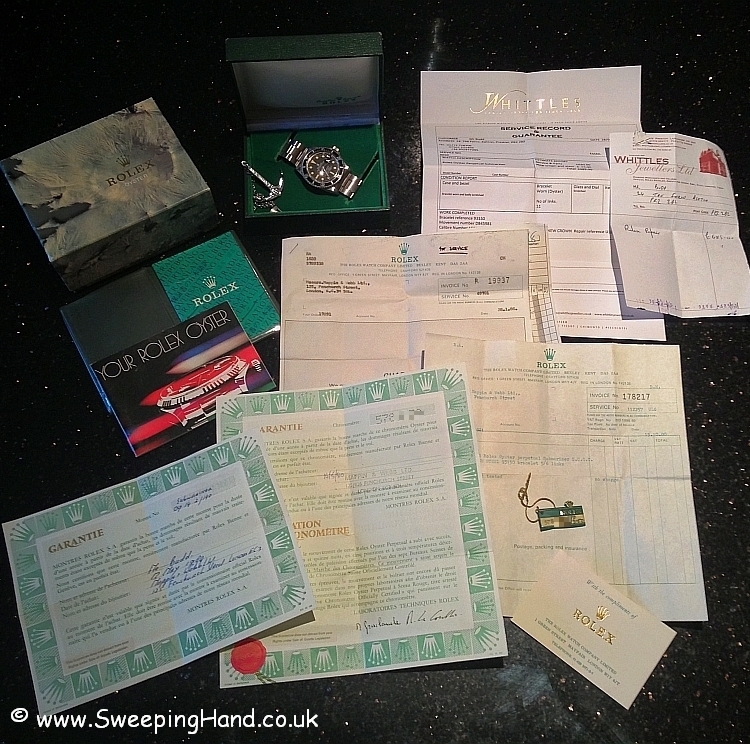 This is something that really doesn’t become available to buy very often at all these days – a full one owner vintage Rolex Submariner Date 1680 in superb condition and with all the collectible bits that us collectors crave – including Double Papers (punched and chronometer) and numbered hangtags! 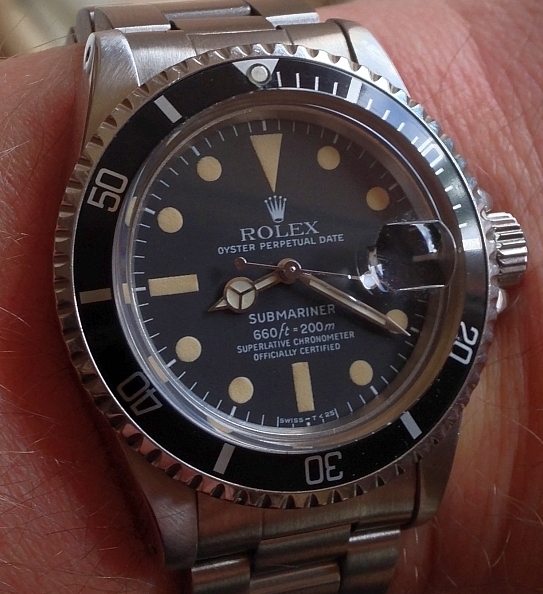 A 5.7m serial watch first sold in the UK in 1980, it is in excellent condition and with that lovely vintage patina you simply don’t get on a ‘new’ watch. Unmarked case, stunning deep yellow tritium dial and hands, lovely bracelet and a box FULL of all the important items. A beautiful watch, with complimenting collector set, that could be worn every day, on special occasions or put away purely as an investment piece….the choice is yours! I am interested in this 1680. 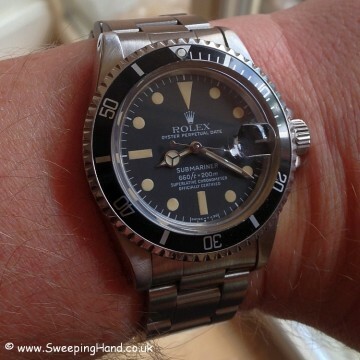 I understand it’s on hold but if the deal does not get done or if you have another 1680 please let me know.